LAS VEGAS, NEVADA (March 19, 2014) – Visstun®, Digispec® and CounterPoint® have implemented Packsize On Demand Packaging®. This state of the art packaging system produces the right-sized box for every product while trimming waste, lowering shipping costs, decreasing product damage, and reducing box obsolescence and management. This technology also allows for customers to have more flexibility in product configurations, improving customer satisfaction. Founded in 1983, DIGISPEC® is a manufacturer of custom mouse pads using state-of-the-art equipment and quality American-made materials. When the company purchased Minneapolis-based XJD Corp in 2002 and acquired Linden, Utah-based DataPad 2003, it became the largest mouse pad manufacturer in the promotional products industry. To date, it has produced more than 300 million mouse pads. Founded in 2007, Visstun launched the world’s first high-definition convolute cups. The unique, state-of-the-art technology used to manufacture the cups eclipses traditional cup imprinting methods. 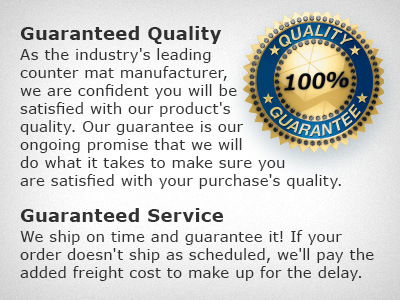 Launched in May 2001, CounterPoint has become America’s largest manufacturer of point-of-purchase counter mats, which are produced using a unique manufacturing process that utilizes high quality polymers, plastics and base materials not normally available from local printers and generic POP suppliers. In April of 2012, CounterPoint purchased Maryland-based Convergence Corporation. Digispec, Visstun & CounterPoint are part of the Time’s Up family of companies founded by Ed Hamilton. While each division operates independently, all three are headquartered in Las Vegas, Nevada. For more information please visit us at www.visstun.com, www.digispec.com or www.doyoupop.com.